Had the trio realized the significance of this catch, they might have worked harder to get photos, but, “We were anxious to release the very tired fish while it could still swim away,” Roguske tells SF. Roguske adds that, as far as he knows, no scale at or near Rio Indio Lodge would have been sufficient to weigh such a fish. 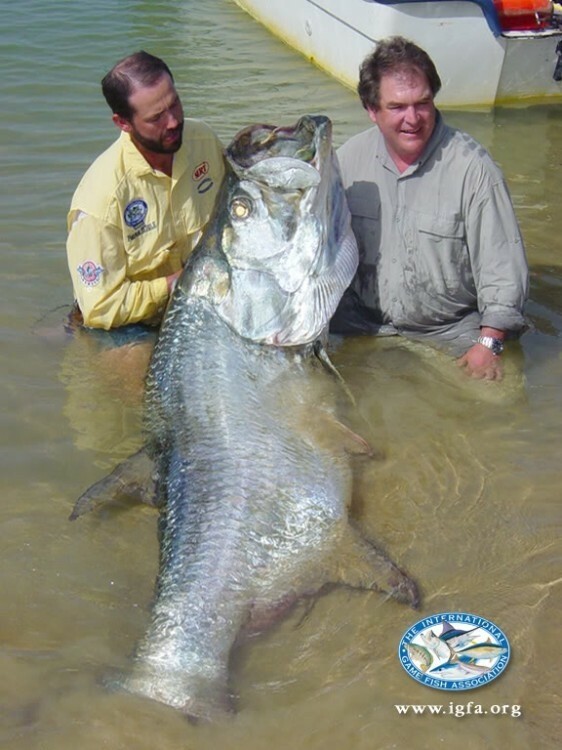 Perhaps that’s just as well, since multiple anglers fought the fish, making it ineligible for world-record consideration, whether by weight or length.